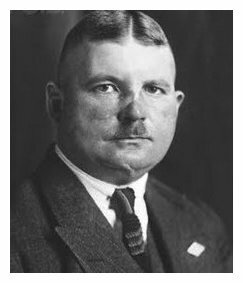 Ernst Rohm was born in Munich in 1887. Like Hitler, Rohm was the youngest son of a petty civil servant, who was also a stern and sometimes violent father. The teenage Rohm sought refuge in the military, enlisting in 1906 and receiving an officer’s commission two years later. Rohm saw heavy action on the Western Front and was awarded the Iron Cross for bravery – but he was also wounded several times, suffering a serious facial injury that left him with permanent scarring. He remained in the army after the 1918 armistice but soon became interested in radical nationalist politics. In 1919 Rohm joined the Deutsche Arbeitpartei (DAP), linking up with another newcomer: Adolf Hitler. The two war veterans found they had much in common, so they became friends and political allies. Between 1919 and 1923, Rohm continued as a captain in the regular Reichswehr, while participating in NSDAP meetings and some Freikorps operations. In November 1923 Rohm played a significant role in Hitler’s Beer Hall putsch. He was subsequently arrested, put on trial for treason and handed a suspended prison sentence. The incident forced Rohm’s resignation from the army, so he involved himself more in NSDAP political activities. He was briefly elected to the Reichstag in 1924, after which he took a lead role in managing and reforming the Sturmabteilung (SA). Rohm resigned from the party in 1925 after disagreements with other influential figures. Between 1928 and 1930 Rohm worked as a mercenary in South America, serving as a lieutenant-colonel and training advisor in the Bolivian army. At Hitler’s request, Rohm returned to Germany in 1930 to take charge of the SA. Hitler wanted Rohm to enforce discipline and bring the SA into line with the rest of the NSDAP. But instead of fulfilling his mission, Rohm began to entertain the idea of the SA as a ‘revolutionary army’, which would supplant the Reichswehr – and possibly even the NSDAP itself. Though it remained hostile to communists, some branches of the SA showed empathy with working-class interests, supporting striking workers or picket lines. Rohm himself embraced the role of a charismatic demagogue, promising the men of the SA that they were the future of Nazi Germany. Among their ranks, Rohm’s personal popularity soared and began to rival that of Hitler. By late 1933, the relationship between Rohm and Hitler had begun to fracture. Though he still admired and liked Rohm, Hitler recognised an obvious threat to his own power. Rohm’s attitude did not help his cause. Unlike other leading Nazis, Rohm did not fear the Fuhrer, nor did he defer to him. In discussions with Hitler, the SA leader often provoked or challenged him – something other Nazi figures never dared. Men like Himmler and Goering, who were jealous of Rohm’s connection with Hitler, began to plot against him. In April 1934 Himmler and his deputy, Reinhard Heydrich, began compiling a dossier on Rohm, containing evidence – most of it falsified – that he was plotting to remove Hitler. Rohm’s homosexuality was also highlighted, in an attempt to disgust the sexually conservative Hitler. Confronted with this dossier, along with fears of an imminent SA coup, Hitler authorised a move against Rohm, to be carried out on June 30th 1934. The SA leader was arrested, detained and then executed in a Munich prison cell. J. Llewellyn et al, “Ernst Rohm”, Alpha History, accessed [today’s date], https://alphahistory.com/nazigermany/ernst-rohm/.